Should they be allowed to use phones while driving? For the second legislative session in a row, the Oregon Senate has voted in favor of a bill that would allow taxicab operators to use hand-held cell phones while driving. 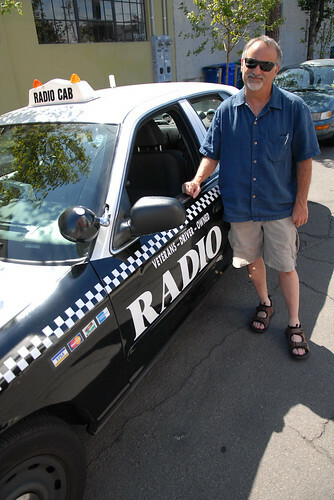 Oregon’s existing cell phone law (ORS 811.507) permits the use of hands-free mobile devices while driving, but taxi operators want to be added to the list of exceptions for hand-held phone use that already includes police officers, public safety workers, farm equipment operators, transit workers, public utility workers, tow truck operators, HAM radio operators, and others. What if talking on a cell phone behind the wheel isn’t so dangerous after all? 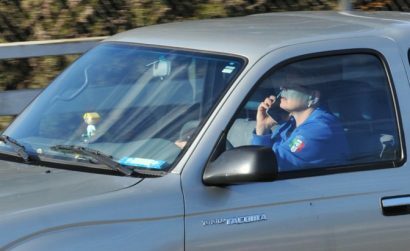 What if people who are on the phone naturally tend to drive more carefully, essentially canceling out any danger? That’s the startling implication of a cleverly designed study released Thursday that hasn’t yet gotten much attention in the media. 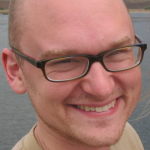 Its authors, a professor of social and decision sciences and an economist, readily admit that their findings seem contrary to some (though not all) previous work in the area. 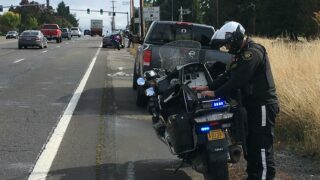 The Oregon legislature made a strange move on Monday that is very likely to make Portland roads less safe for everyone. By a vote of 19-11, the Senate passed a bill that adds yet another exception to the state’s existing cell phone law. Senate Bill 294, sponsored by Senator Larry George (R-Sherwood), allows a taxicab driver to use a “mobile communication device”, a.k.a. 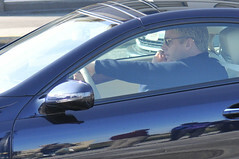 cell phone, while driving. This is despite widespread evidence that using a cell phone while driving is very dangerous. SB 294’s sponsor, Sen. Larry George (yes that Senator) got all 14 of his fellow Republicans to join him in supporting the taxicab exemption. The five Democrats who voted in favor of the bill included; Lee Beyer, Chris Edwards, Betsy Johnson, Ernie Roblan, and Chip Shields. this would be perfectly legal if HB 2507 passes. The (illegal) use of mobile phones while operating a vehicle is way too common in Portland and more needs to be done to raise awareness of this and other behaviors that lead to distracted driving. 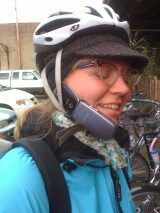 Does Oregon’s new cell phone law apply to people on bikes? Since Oregon enacted their new cell phone law on January 1st, many people have asked me if it applies to people riding bicycles. My previous opinion was that it doesn’t, but a closer look at the law now has me less certain — and more confused. 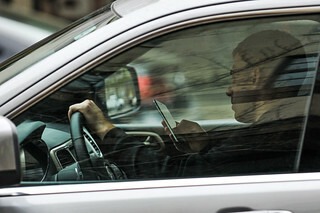 The new law applies to people, “operating a motor vehicle while using a mobile communication device.” Since bicycles are not “motor vehicles,” I initially assumed this meant that bicycles would be exempt. But I don’t like to operate on assumptions, especially when it comes to bike laws, so I asked the office of State Representative Carolyn Tomei — the legislator who pushed the cell phone bill — for a clarification.